Advanced electronics in high-reliability systems are improving military and aerospace equipment to meet the significant challenges that lie ahead. As new technologies expand and spread around the world, so have the potential threats from possible foes who have coopted modern consumer technologies, such as global positioning and information systems (GPIS), unmanned aerial vehicles (UAVs), and space systems, to serve their own purposes. Our technological battlefront now begins with military space equipment, surveillance, and position control. As such, our defense industry is developing improvements, expanding capabilities, and creating next-generation technical systems to provide immediate protection and prepare for potential threats. To that end, a new digital battlefield program has evolved. Military satellite systems with wide-viewing capabilities will rapidly become a leading focus of technology expansion for surveillance and reconnaissance control. Multispectral surveillance cameras can provide images, while additional sensors monitor items such as weather, ocean levels, and other satellite and missile activities. Satellites also provide data for the new geospatial intelligence system (GEOINT), which features image analysis software that drives higher-speed digital signal data comparisons. Ruggedized, lightweight, high-density connectors with .050” and .025” pitch spacing are used to direct that data into the transmission modules that send it back to Earth. UAVs designed for use at very low elevations and typically controlled by earth-bound ships or ground troops have added major advantages to our mission quality. 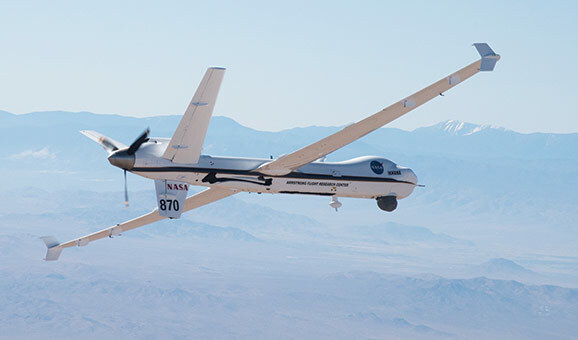 UAVs provide a different value in surveillance, and offer close control for monitoring wide-area moving target indicators (MTIs), ground targets, and airborne early warning (AEW) radar surveillance in support of theater missile to ground defense. The thorough package of electronics in today’s UAVs includes directional control, GPIS referencing systems, high-resolution cameras, and ammunition launch and controls. A key to the success and performance of these highly mobile, fast-moving UAVs is extreme signal speed and integrity. 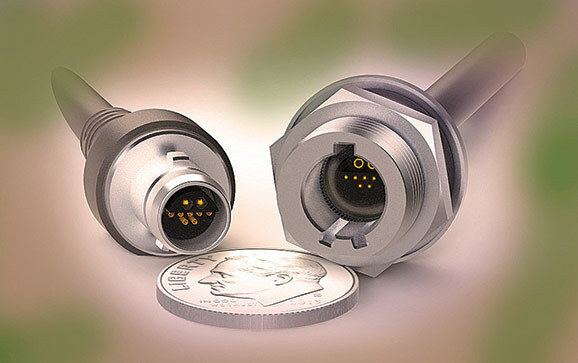 Ruggedized, miniature connectors with small diameters and high-speed differential signal processing capabilities are essential for making cable connections between the data storage modules these systems rely on. They also enable some transmission-to-ground communications, but image and data modules are often quickly replaced at base stations on the ground. These applications have driven the use of ruggedized Micro- and Nano-sized latching connectors, and high-speed digital signal formats are used to handle speeds above 5Gb/s. Phased array radar is rapidly eclipsing the old moving dish radar technology. These advanced systems use multiple transmission lobes (i.e., antennas) and send coordinated signals with slightly adjusted phase shifts to focus the radar beam directly at one point and define targets with serious resolution. Circuit speeds and logic systems continue to function more rapidly, allowing even the fastest missiles to be tracked electronically. The military industry is benefitting greatly from these systems due to both their increased capabilities and their ease of portability, which make them even more versatile. Mass storage and portable Ethernet systems are some of the most rapidly evolving instruments in the mil/aero industry. Many requirements for handling data and processing signals must comply with Avionics Application Standard Software Interface (ARINC 653). This interface specification is aimed at ensuring that the aeronautics and space industries operate within a real-time operating system (RTOS) standard. The ability to host multiple applications of different software levels on the same hardware also provides universal performance while retaining a small physical size and low weight. The current focus is on routing both more and higher-speed signals into the main bank of equipment that stores the mass bulk of data being received. The new boards designed to enable this are highly condensed, lightweight, and rugged to suit the needs of equipment including the portable military electronic systems that are taken into battlefields. High pin-count edge-card connectors and mating cables are routed from detection and surveillance units back to the main system and provide the signal integrity and digital signal speeds that can prove critical during adverse battle conditions. Meritec is now offering its Hercules interconnection system built into a ruggedized circular MIL-DTL-38999 shell. This provides a ruggedized, high-bandwidth interconnection scheme that is highly suitable for many of the newer military and aerospace applications. The Hercules connector interface was selected by the VITA Standards Organization (VSO) for its VITA-76.0, and was subsequently approved by the American National Standards Institute (ANSI) for the same. Multiple sizes and pin count variations are aimed at optimizing the challenges of higher speed protocols into existing and new applications. Protocols including: USB 3.0 and 3.1, InfiniBand, SAS, SATA, and serial I/O connectors can be used to interface to existing systems, and applications include HD video, Ethernet, and high-speed data storage. 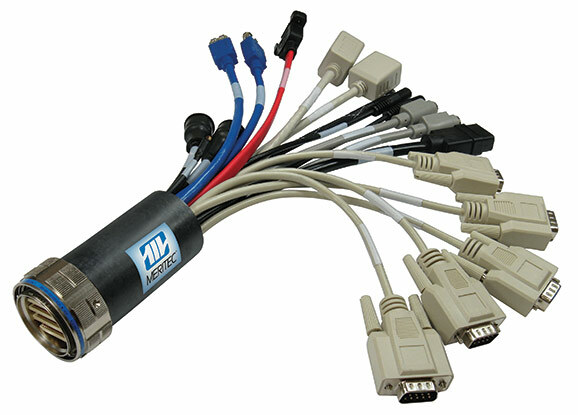 The connectors can be configured with up to 44 differential pairs running at 10Gb/s per pair. Portable Electronic Devices (PEDs) often specify micro-sized circular connectors for highly portable modules that require the combination of power and differential signal processing within a single connector and cable. This often requires customized cable designs and careful attention to wire hook-up protocols to ensure high signal integrity and offers up to 10Gb/s. Power levels depend upon the power pin and the size of the power wire specified. The number of signal pins can be designed to accommodate multiple digital signals, and metal shells are often used to provide 100% shielding from the cable to the connector. Military robotics are used in remote battle situations to analyze, predict, report, and deliver a wide array of information. For example, the military employs both front line and perimeter IED detection for carrying pack loads and remote ground ammunition-firing systems. The Talon, by Qinetiq, is easily transported to battlefronts and can operate in adverse weather and terrain. This robot travels rapidly carrying customized electronic equipment that allows behind-the-front control and delivers rapidly even in very rugged conditions. It also has the capability of firing weaponry from its own chassis. Cable and connectors utilized in these types of equipment must be extremely rugged and waterproof, and efficiently distribute power and remote directional control simultaneously with image capture and transmission. Many of the ground robotic connectors for military and aerospace applications require the combination of low weight and extreme reliability when exposed to shock and vibration. Special pin and socket systems using spring beryllium copper or twisted steel are used to retain constant contact during these events. In addition, each pin/socket set must be plated with nickel and then gold to help retain contact reliability over long exposures. Test specifications are defined to qualify and ensure reliable performance. Many applications will require metal back shells and braided metal shielding over the cable to prevent both damage and EMI (electromagnetic interference shielding). As signal speeds increase and as more electronic packages are crammed into tighter spaces, this is becoming more and more critical. Soldier-worn electronic systems are being deployed extensively. This is the era of the high-technology digital battlefield. Constant communication with each ground trooper and biomonitoring are critical to protecting military personnel. Higher speed signals, again, become life-supporting as well as efficient for critical data sharing from satellites, unmanned vehicles, and ground central. Munition directions from the ground team will be processed at the soldier with his onboard computer that is linked with a military GPS satellite above. The connectors and cables must meet three key criteria to maintain these functions in a wearable format. They must be reliable, weigh as little as possible, and provide ideal signal integrity at all times. Each new cable and connector design is reviewed for how and where it fits on the soldier’s equipment pack and uniform. It is then fabricated and tested for the electrical and mechanical specifications the soldier will experience in the field. Finally, the new cable and connectors are installed into his or her system. That is not always the last step, however. The military must be the critical element in the “useable” features of each new cable and connector. Redesigns are an acceptable way to refine and improve the cable and connectors, as much as it is for the rest of the equipment pack. This process of configuring connectors to application-specific functions often begins with a review of the equipment to which the connectors will be applied. Standard and COTs connectors can be considered and analyzed to find a close fit to the new application. During early stages of design, COTs connectors can be used in prototype circuits, which can save time and cost of development. There are significant advantages when the COTs, or even small changes to the COTs connectors, will suffice. Connectors previously designed with military-quality materials and processes can shorten the design cycle time and give early expectations of lifespan and performance. When changes in shape or size are required, a solid model of the new design can be quickly completed by the connector supplier and sent to the system design team. This can begin an online work session that also helps to get the design right early in the process. After design completion, connector fabrication can be transferred directly to smart tooling machines. Planning for the cable as signal speeds increase can be very critical. Higher speed differential signal processing pushes the limits of standard cables in our industry. Signal length, attenuation, and skew of differential signals must all be planned, prescribed, and attended to in the cable design. In the past, we planned for the resistance and potential crosstalk of signals within a cable. Now, we must prepare for high-speed different electron propagation delays between signal lines that can cause skew, and plan for inductive reactance, as well as learn new ways to prepare and test the cable before it is attached to the connector. Some methods are evolving by use of TDR (time delay reflection) instruments or by sending complete signals down the new cable and reviewing eye diagrams that exhibit noise, jitter, and skew of the signal as it actually runs through the cable. Bob Stanton, Director of Technology, Omnetics Connector Corp.